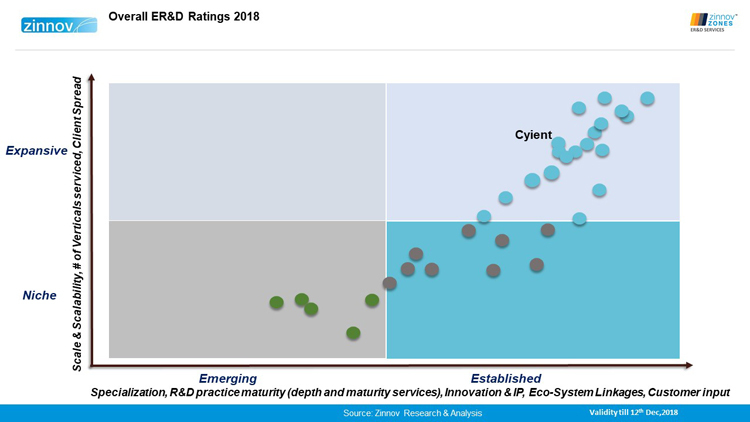 Cyient, a global provider of engineering, manufacturing, geospatial, networks, digital, and operations management solutions to global industry leaders, has been ranked as an "Established and an Expansive" player by Zinnov, a global consulting and advisory firm, in its 2018 report on engineering R&D services. The report also placed Cyient in the "Leadership Zone" across four industry verticals—aerospace, energy & utilities, transport, and construction & heavy machinery—retaining its leadership position of several years. Cyient has also been placed in the "Execution Zone" for the medical devices and semiconductor, and as an "Established and Niche" player in three horizontals—design and simulation engineering, quality assurance engineering, and user experience engineering. Cyient's consistent performance can be attributed to its strong engineering heritage, client focus, and proven acquisition strategy. Zinnov Zones is an annual rating published by Zinnov, which rates service providers based on their competencies and capabilities. Since 2009, Zinnov Zones has established itself as one of the most trusted reports globally, for both enterprises and service providers to better understand the vendor eco-system across multiple domains. The report rates more than 30 services providers based on their product engineering capabilities. The assessment coversfactors such as scale and scalability, client spread, specialization, R&D practice maturity, innovation, and client references. "We are excited to be once againrecognized by Zinnov as industry leadersacross aerospace, energy & utilities, transport, and construction & heavy machinery. 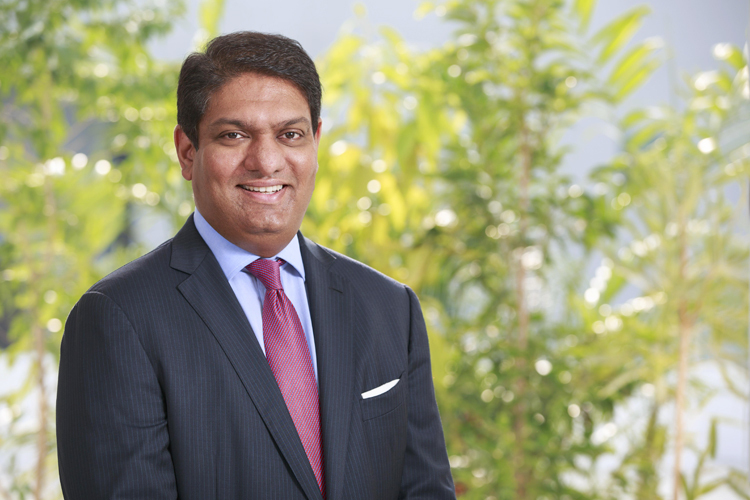 This is a testimony to our rich engineering legacy, client-centricity, growth strategy, and continuous efforts of our teams to evolve as a design, build, and maintain partner for leading global organizations," said Krishna Bodanapu, MD& CEO,Cyient. Commenting on the recognition, Sidhant Rastogi, Partner & Practice Head, Zinnov, said, "Cyient has established itself as a leader for ER&D services in verticals such as aerospace, construction & heavy machinery, energy & utilities, and transport through its end-to-end "design-build-maintain" approach. The company enjoys high customer satisfaction levels which is testified by its long-term engagements and repeat business Y-o-Y. The companyhas consistently strived to enhance its expertise and market positioning in verticals such as medical devices and semiconductors as well."